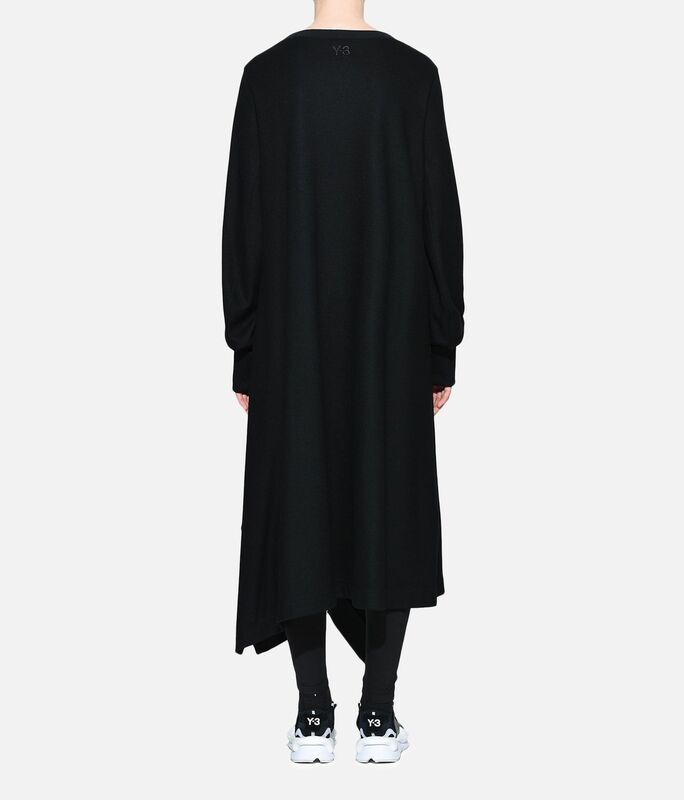 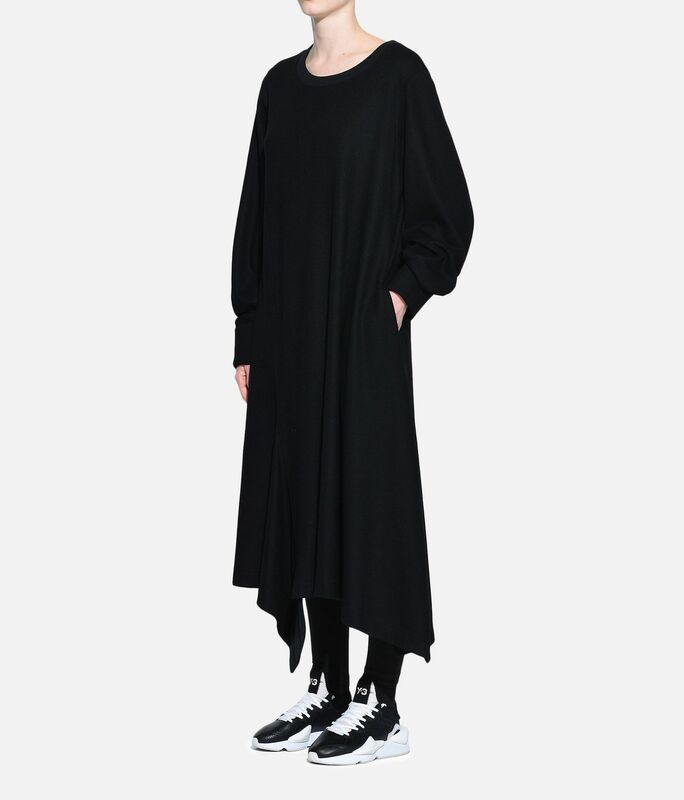 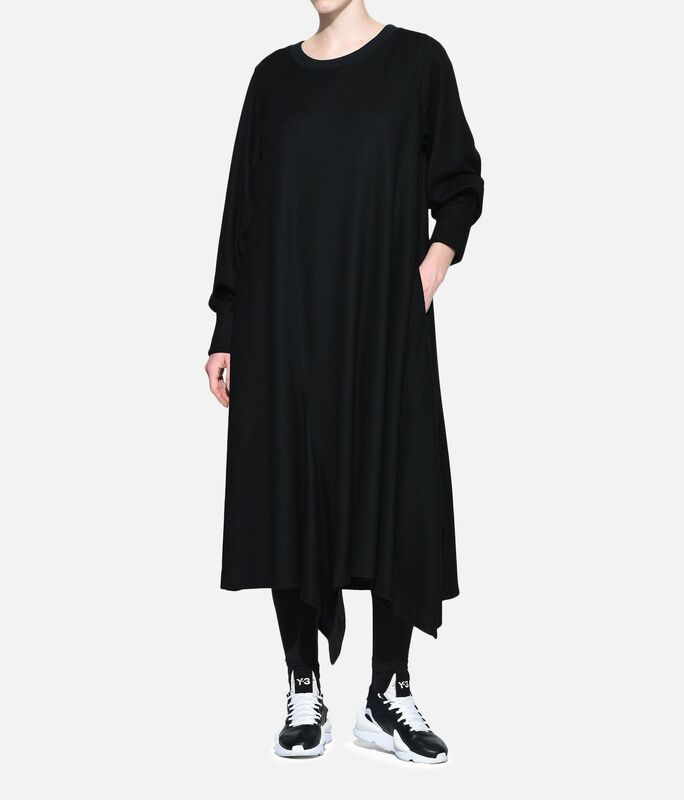 Y-3 elevates a familiar sportswear silhouette with the engineered look of the Wool Dress. 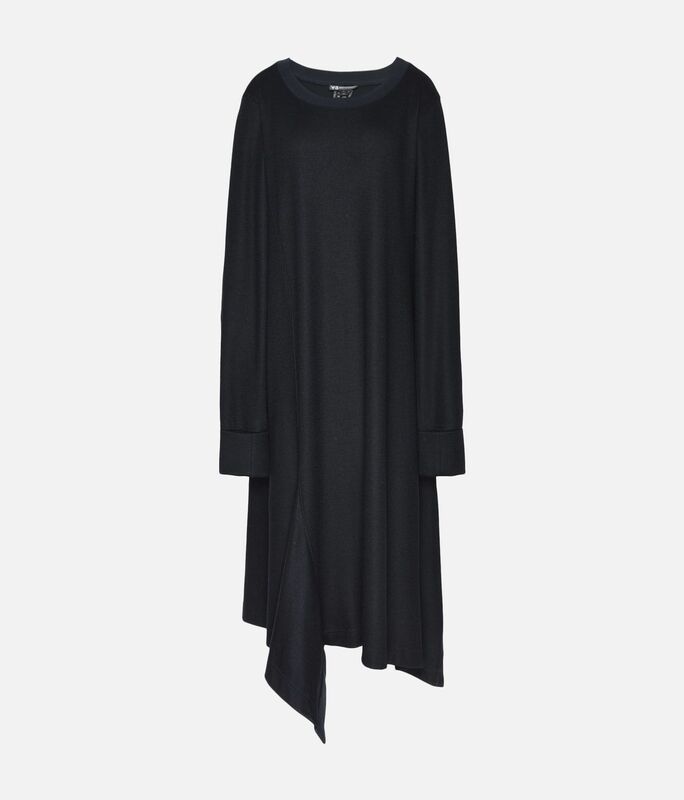 Accented by ribbed inserts, the long sleeve dress creates a flowing appearance complemented by an asymmetrical hem. 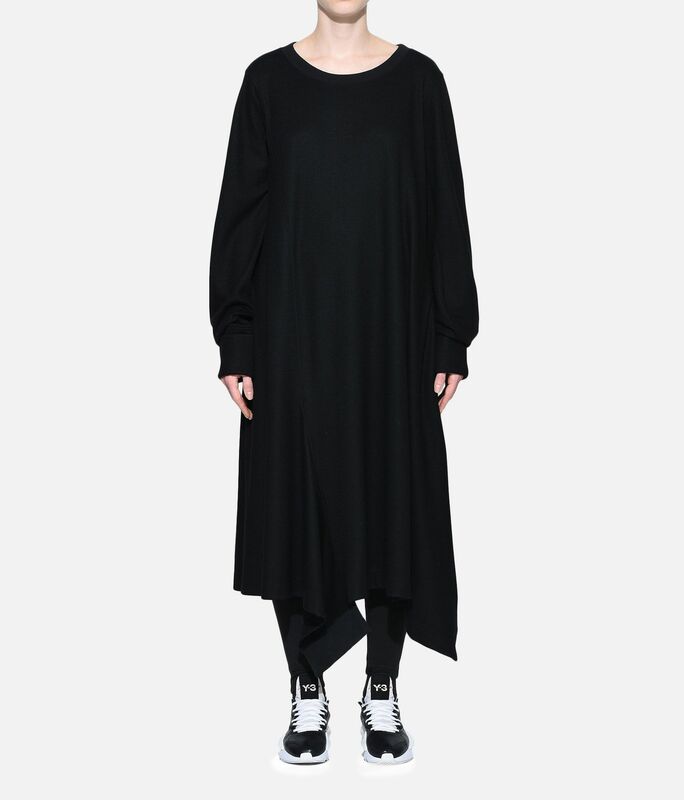 The draped look is finished with a ribbed crewneck, ribbed cuffs and concealed pockets.